This workshop will focus on the application of gamification in reshaping employee experience with a behavioral change to motivate participation, engagement, loyalty and productivity in the workplace. 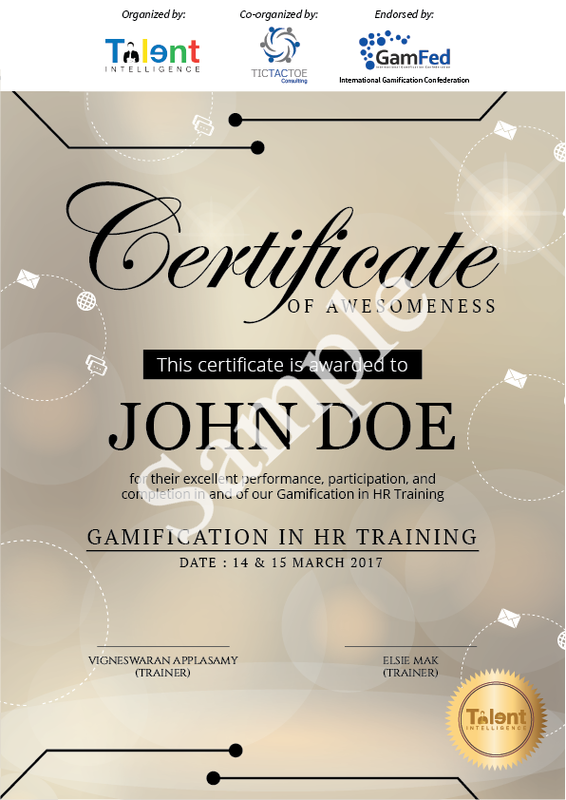 Gamification in the workplace is the use of game mechanics and behavioral design to motivate behavior change and engage employees in improving their performance, productivity, participation, and loyalty. Gamification uses game design to taps into human behavior to understand the science behind human motivation and how to impose the natural drive of human motivation in the workplace environment. The workshop will discuss the concepts and frameworks of gamification such as the Octalysis Framework, An Coppen's framework, Andrzrej Marczewski’s Player and User Types Hexad to name a few. The participants will then use this concepts and frameworks to develop their own prototype by the end of the workshop. Our gamification workshops are endorsed by the International Gamification Confederation (GamFed), which reviewed and determined the best practices of gamification to be applied in specific areas. 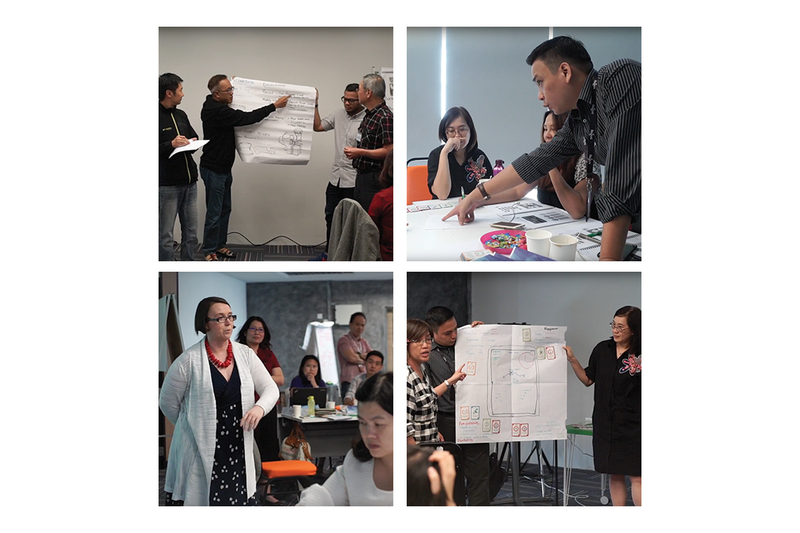 We have trained and developed our trainers using frameworks that were designed from the world top gamification gurus like Yu-Kai Chou, An Coppens, Andrzej Marczewski, Pete Jenkins and much more to ensure the content delivered is aligned with international best practices and standard. The workshop is HRDF claimable & SBL-KHAS approved. Contact us more about public or in-house workshops.